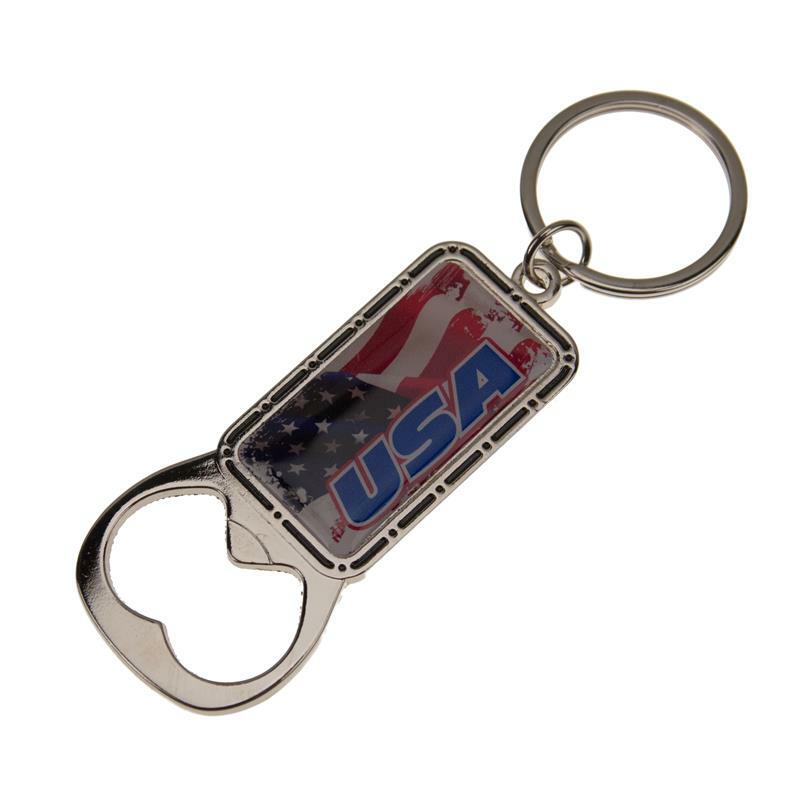 A chrome plated metal fob with an epoxy domed insert. 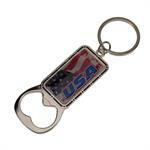 Insert on front side only, back is a textured finish. 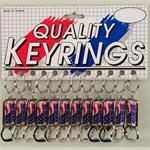 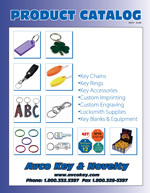 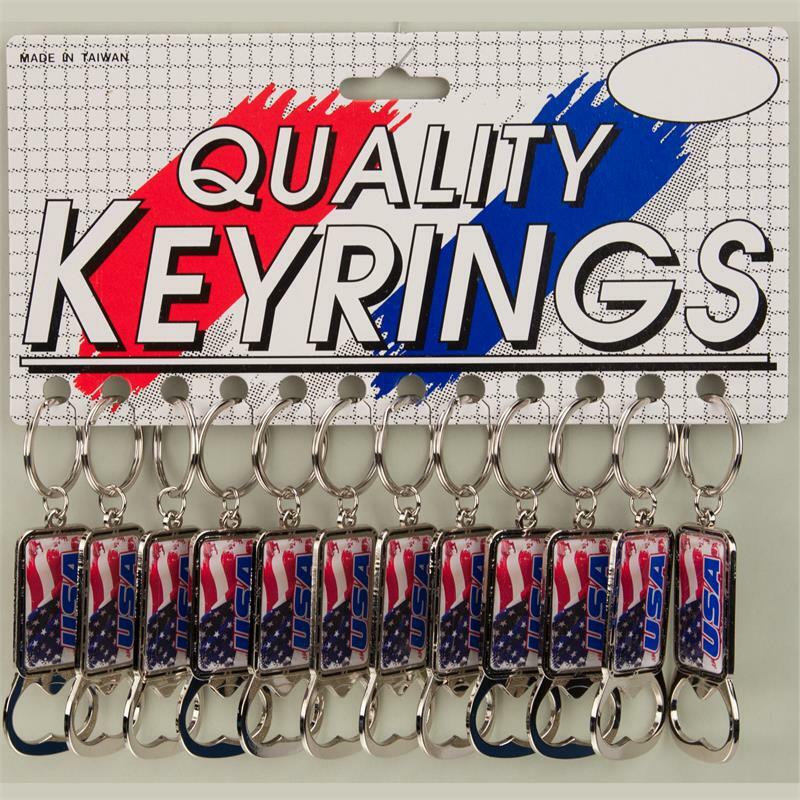 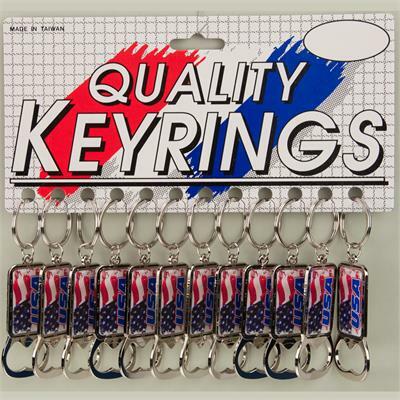 Overall length with attached split key ring is 4-1/4"